Warehouses are central storage facilities for parts. If you want to use warehouses for the Inventory module, you can set them up as a special type of asset. You add warehouse assets in Helm CONNECT like any other asset. You may also want to create a separate asset type and space for your warehouses to help you filter and manage their activities. In the New Asset window, complete the Name, Short Name and Division fields, then click Save. NoteIf you already have a Warehouse asset type, you can select it from the New Asset window. If not, we’ll show you how to add a Warehouse asset type below. Select the card for the warehouse asset you just created. On the Details sub tab, click Edit. In Asset Types, enter a name for your Warehouse asset type, for example ‘Warehouse’. NoteIf you already have a Warehouse asset type, you can skip this step. You only need to add it once, then you can use it for each new warehouse asset you add. (Optional) From the Responsible Parties list, select the users who will receive email notifications when a task for the asset is assigned to shore. 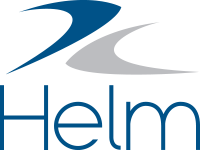 NOTE Only people who can log in to Helm CONNECT and who have a valid email address in the system will receive email notifications. Having a dedicated warehouse space allows you to assign inventory counts and inspections to your warehouses. You add a warehouse space in Helm CONNECT like any other space. NoteIf you’ve already reached your maximum number of work spaces, please contact your Account Manager to add more spaces to your account. From the menu, under Setup, select Spaces. In the Name field, enter a name for the new warehouse space. From the Assigned Assets list, select the warehouse asset(s) that will use this space. If you don’t select any assets in this step, this space will apply to all your assets, by default.